Nice website. Like many others, I found this while searching for hypnic jerk cures. I too have started suffering from hypnic jerks. It started last September, the day after drinking beer. Since then, I have been plagued by these. Strangely, I never had them before this (aside from the occasional one as I was trying to nap in a recliner). However, that Saturday night I had them all night long. I had them next night as well. Went to the doc the next day, he prescribed clonazapam. The clonazapam stopped them. However, the next time I had beer, I noticed that I got them night after again. So, the cycle went for a while. I started cutting back the beer, then the caffeine, so on and so forth. Now, they come and go. I go several nights with them, a few without. I haven’t found a cure, but am still searching and hoping you & others can help. I’m just sort of talking out lout, but I’m going to list a few things here, in case others have some of the similar symptoms. Jerks are various in intensity, from very mild to moderate. They continue to plague me through the night, until I get up and take medication. The last doc took me off clonazapam and put me on mirtazapine and Gabapentene. I don’t like taking meds, so I try not to take these. However, the mirtazpine and gaba have worked to date. I take magnesium periodically, usually when these things kick up. I haven’t noticed a difference taking magnesium. Also, I can’t tell any difference with our without caffeine. They are not constant, except for happening the night after I drink beer. I occasionally have random muscle twitches in my body during the day. Sometimes, I will have a twitch that goes through my entire body during the day. Does anyone else have these twitches? You mention having these hypnic jerks. How many do you have during a night? How long do they keep you awake? Do you ever have muscle twitches during the day? I’ve seen sleep clinics mentioned, has anyone had any success with these? I’ve heard many people mention magnesium helps. What are the results others have had with magnesium? Has anyone found a definitive cure for these things? Since I had these (since September), I seem to be jumpier or more easily startled. Anyone else seen this? Anybody know of any center or doctor that has fairly extensive dealings with these? Thanks for your comment, and first off sorry to hear you’ve been having difficulties with hypnic jerks, assuming that is what it is you have! Did your doctor comfirm that he thought it was just hypnic jerks? I’d be interested to know what he/she thought when deciding to give you such strong medication. Personally in recent times I only get hypnic jerks when I’m absolutely shattered. I might get a couple as I’m initially trying to get to sleep, then no more throughout the night as far as I’m aware. I know other readers get them much more though, as you seem to. I don’t get the muscle twitches during the day, no. Sleep clinics are very useful for assessing sleep disorders, and then helping you find ways to deal with whatever you might have. Depending on which county you are in, they are either private (and therefore expensive) or need a referral from a family doctor. Sometimes they run research projects, which can be a good way to get your foot in the door so to speak, if you don’t have funds for it. You can search for your local ones and see if they have anything coming up. But yes, they are good because they will have sleep specialists working there. I haven’t tried magnesium, but there have been a couple of other readers who talked about it before. If you look back through the comments there is one thread with 3 people discussing that which you might find helpful. The search for a cure goes on! Some people have ideas of what helps, but dealing with stress and making sure you get enough sleep generally seem to be amongst the best things to do. I hope that helps, and maybe someone else will have some answers for your questions also. I am 22 yrs old .So many people like me have this hypnic jerk,and teach me a lot about it here . I got it when I was study in middle school, first time is lie on the desktop, it was terrible . After that ,most of time it comes, I was lied on the desktop even in bed. Maybe the brain is to nervous or tired when I fall to sleep , just relax will be fine. Thank you for your comment, and I’m really pleased to see that you’ve found other people’s stories helpful. That’s great! Unbelievably complicated to get a good handle on why this happens, once it starts and once it affects you to the point you cannot get sufficient sleep. Yes Yimpy – as with many sleep disturbances, it’s not easy to pin it down! Medical marijuana. Smoke a little before you go to sleep and it will most likely not happen! It will relax your nervious system and you will sleep naturally. It works for me. Thanks for offering this unusual piece of advice! It’s actually an interesting concept, even though some people may find it inappropriate to bring up. But marijuana is known to help relax the body and mind and help send you off to sleep. But not for everyone. And not everyone would have access to medical marijuana, or the inclination to try it either. But if it works for you, and is legally prescribed, then hopefully you can sleep well without any of the other possible negative effects it could have. I often get hypnic jerks when I am just drifting to sleep. One memory that I usually have after one occurs is: I start to drift into that state of sleep where you don’t really care what’s happening around you, and everything goes black. Then, I get a faint picture of myself standing on top of a building, a cliff, and one time even the balcony at an opera house, and all of a sudden I’m falling from it. It sometimes lasts about 20 seconds if I remember correctly. Then, I recall seeing the ground get closer and closer. The second I hit the ground, I jerk and open my eyes quickly. Usually afterwards I scan my dark room, because when I get jerked awake it feels like someone is pushing me. There was another time when I was little, about age 7 or 8, when I was fast asleep. I had a sloth bed, a bunk bed without the bottom bunk. I remember my eyes being closed, and I had been asleep for a while. I heard the faint sound of my door moving open, and the quiet but recognizable sound of someone walking on the carpet towards my bed. There was silence for a slight moment, and right out of nowhere my pillow was jerked quickly from underneath my head. I was jerked awake, and I looked around. My door was still shut, and my pillow was back where it belonged. The months following, I was extremely paranoid. I would call my grandparents into my room every night and tell them that I thought I heard someone walking down the hallway, when no one was there. Now, as a fourteen year old, I take comfort in those walking sounds. My dad had died a year before they started occurring, he lived in that house too, and I look back and imagine that those footsteps were him, keeping an eye on me. After I would get scared, those footsteps would stop, as if he knew he was scaring me. Now, I don’t particularly believe in ghosts, but I would like to think that it was him, watching over me. Thank you for sharing this interesting and personal story of your experience of hypnic jerks. I can well imagine why you felt paranoid after all that! And I do like your interpretation, even if you don’t believe in ghosts. I’ve read a similar thing on a different comment thread on this site from a couple of people. When you do suffer a loss, such as you did, I think it’s natural to find a way to attribute strange occurrences to that, but in a nice way. The first time it happened, I thought I was having a heart-attack. My heart was beating like mad. It was terrifying to be woken up in the middle of the night and unable to go back to sleep again. When I tried to go back to sleep, it happened yet again – that sinking feeling and I woke up – each time feeling that I narrowly escaped death. I was so scared that I couldn’t sleep at all that night. My mind went over the events of the day trying to figure out what could possibly cause this. c. Uncomfortable position while sleeping or a fat pillow. Thanks for your comment and observations. I’m glad to hear you’ve managed to come to terms with having hypnic jerks after that initial unpleasant experience. And I think you are quite possibly right about what you notice can trigger them. Further to this… I there a way you could add into this forum a way to gauge a common link? For example, I have always been a person of worry, and of late with a few other medical issues, I have developed Anxiety..
Perhaps this would be a commons thread ?? This is amazing.. I cannot believe the amount of comments here.. Well done for allowing people to comment. I am currently and have been having these Jerks now for around 3 weeks, the problem is that I have dozens of them per night just as I drift off to sleep, a body jerk will wake me and then I try again and again and again. I am been told that I have anxiety and depression, I am a 54 year old male. I had this come on September last year for two nights and after the doctor prescribed diazepam it stopped, however around 3 weeks ago after my bladder started giving me some problems (which it sill is) it has been on going every night. I have been told that it is to do with the “Flight or Fight” response, whereby your subconscious will not allow you to sleep, keeping you awake, a primeval system to protect you. Sounds like it could just be.. I am getting a sleep study done next month as they are getting worse.. the Jerks seem to feed on stress and anxiety, which just grows and grows.. self fulfilling. I think I will have to increase my meds depending on what the Doctor says. Thank you for you comment and sharing your story. And thank you also for your compliments. The way I see it, the comments are more interesting than the article I wrote! So I am delighted that so many people have both found it a useful page, and also interacted to share stories, advice and provide some camaraderie. So there is no chance I will ever close the comments as long as people continue to find it a useful space to communicate. Back to your comment, and I’m sorry to hear you’ve been having such difficulties. I’m not surprised that diazepam helped. I’ve tried it before when I had sleep problems due to anxiety, and it really does knock you out. Though I am never sure as to whether it specifically relaxes the body and stops the hypnic jerk mechanism, or simply knocks you out so you wouldn’t be aware of any spasms. Either way, benzodiazepines have a way of getting people through many sleep problems. The problem being though that they are not (in my opinion), the best medication to take long term. That though of course is something between you and your doctor. Hopefully the sleep study will provide you with some reassurance, and perhaps provide you with some practical solutions beyond medication. Also, as someone who is very anxious, finding ways to tackle the anxiety naturally might also be a good idea. Have a look at this section on relaxation techniques. You might find something helpful there, assuming you haven’t already explored those ideas. All the best, and if you have the time to come back and let us know how the sleep study went, it would be really interesting to hear from you. Hi Ethan. Lovely to hear from you and fully understand yr overload. I was just getting desperate that I’d found this wonderful site and then it disappeared. :-) . I am def noticing the jerks are almost text book and I’m not worried about the gasp. My ex husband had sleep apnea and I know its def not that. Its more the fear the jerk induces as I come out of the sleep. Since understanding I’ve had far fewer incidences and am waking up peacefuly in the morning. So amazing after suffering so long. Thank you. And interestingly I’m not so worried about a coffee now as I know what the jerks are – though I also see its a bit masochistic haha – but I feel I have a choice now. I also saw what a v late night and long drive did before bed so its great to be getting proof of the diagnosis – my mind found it difficult to accept it could be so simple in the beginning and was determined to disprove the theory :-):-):-). Ha. That sorted that. I applaud you for the work you do. That’s not easy. But does make you the kind understanding person you are. My 2 daughters do the same work so I know how hard it is. God bless you Ethan you’re helping a lot if people. I understand what you’re saying about the forum but v selfishly I find it v helpful to have a v informed person at the helm. Do understand the overload though and overloads not good. Thanks again Ethan. You’ve truly made a bigger change in my life than you’ll ever know. It’s really fantastic that the knowledge alone has had such a profound effect on you. If only it was the same for everyone with all sleep problems! But when readers say that just knowing what is happening – and that they’re not alone – has made such a big difference, it always puts a big smile on my face. Good to hear you can rule out breathing problems too. So hopefully your new found better sleep will continue for years to come. Does this happen all the time at school, or just occasionally? And when does it happen? In the middle of classes or when you are somewhere where it’s ok to be sleeping? I’m 58 yr old female with a long history of disturbed sleep due to pain from severe arthritis and fibromyalgia, and restless leg syndrome (which is also painful). I jerk awake several times a night and it’s becoming more frequent. It used to happen only once in a while but it’s becoming a nightly occurrence. I’ll jerk awake several times until I’m awake enough I can’t get back to sleep. Sometimes I experience a trembling sensation that is sometimes strong enough to wake me and make me think we’re having an earthquake. My husband and I ruled out several possibilities and finally did a little experiment where we set a glass of water on a tray on our bed while I lay on the bed alone. We discovered I’m the one causing the trembling I feel in the bed by observing the water in the glass “trembling”. Along with all that other joy, I’ve had this thing for several years where I’ll fall asleep beautifully only to come wide awake (with or without the jerk) 20 to about 45 minutes later. And I’m WIDE awake. It gets so bad, happening night after night I’ve ended up severely sleep deprived to the point of hallucinating and becoming ill. The jerking seems to be a whole body experience. And I feel like I’m very aware when it’s happening…for example I am awake enough I feel the large muscles throughout my body contracting in what I can only describe as a snapping feeling and then the release as they relax after a few seconds. At this point I’m lucky if I get 2-3 full consecutive hours of sleep a night and a total of maybe 4-5 hours and my husband says I’m getting a little wiggy! Thank you for sharing your story – it seems like a complicated set of sleep issues you’ve got going on there. It doesn’t sound pleasant at all, so it’s no wonder you’ve suffered from such sleep deprivation before. I have to say I loved your story of the tray of water experiment. I’m a big believer in doing creative experiments in life, so I did like that one. Though it seems like you probably already knew 99% it was you causing the trembles? Have you spoken to a doctor about your sleep issues? With so many, I imagine you probably have. I’d be interested to know what they thought about your circumstances – and have you been recommended to go to a sleep clinic before? The ease of accessing one varies wildly from one country to the next, but it might be useful for you. And with more prolonged trembling, it might be a good idea to rule out other possibilities like nocturnal seizures. Hopefully you’ll find something which helps you get the peaceful sleep you need and deserve. Oh I cannot tell you the relief I’m feeling right now. I thought I was the only person suffering this condition and it’s so lovely to see how common it is. I’ve had this condition for over 20 years and it started when I was experiencing major stress in my life. I began waking from sleep with a massive gasp as though I was watching a horror film. V unpleasant. At other times I started waking feeling I was sinking and my brain interprets that as though I’m dying which is so scarey as you can imagine. This has continued over the years whenever I get very stressed and in fact has now become as much a cause for stress as the problem causing it because I haven’t been able to find a solution or an explanation and def nobody else who had the condition. So how delighted am I today to find you guys!!! Wow!!! I feel like i’ve won the lottery :-):-):-). I’ve done a lot of work on myself and have found cbt to be the best thing to help me and I never go to sleep with anything on my mind. No matter how tired I am or how late it is if somethings bothering me I deal with it before I go to sleep which always ensures I get a good nights sleep and when I wake terrified in the night I put on a relaxation CD that I fall asleep to. I have spoken only once to my GP quite recently – I always believed one day it would stop – and she just said sometimes she experienced it too and it was nothing to worry about – not v helpful. I cannot tell you the relief I feel to be able to talk about it. At times i’ve feared for my sanity and it gas been very unpleasant not knowing what the problem was. At least now I know I’m no more insane than the next person. Phew. ):-):-) thank you a million times over. Words cannot say. Can I ask what your occupation is and why you started the web site. I know it seems some people are finding help through drugs but I’m hyper sensitive to any drugs so I don’t see that as an option. But I’m currently working on visualising my brain as having an overlit xmas tree in it which I turn off the lights and then see the area covered in soothing balm. It certainly feels v calming. But I’m hoping now I have an explanation it will help me to accept this condition as ‘normal’ in the circumstances. Great to be able to share. I very occasionally get the bang of the head explosion but think the hypnic jerk explains it better. Thanks again. First of all thanks so much for your detailed comment, and I’m really happy to hear you’ve found comfort in this article and the comments people have left. Your story is very interesting, and you raise some good points. I think you’re right about stress being something which can increase the frequency of hypnic jerks, and many other sleep problems. And yes, you very neatly describe the vicious circle which can occur when worrying about something happening. But hopefully your relief at realizing you’re not alone will perhaps set you on the path to breaking out of the circle and being able to relax when you go to bed. It sounds like you are dedicated to self-help techniques, which is fantastic…so well done you! I was a bit concerned when you mentioned waking up with a gasp…but hopefully you mentioned that to your GP? If not, it might be a good idea. I’m always careful when people mention any kind of breathing issues, and recommend a trip to the doctor to rule out any other problems. Thanks again for your kind words and I hope you sleep easier from now on. Dee I have the same exact thing. Mine are every night, it has been one year. It is horrible. Have you had a EEG? Hi Mark only just seen your comment. So you have the same. Not pleasant is it. Ive been much better since I learned what it was but still have periods – as I do now – after I had a coffee fir the first time in months. Big mistake. Obviously upsets the chemical balance somehow, so im really suffering at the mo. Ive never had an ECG but have thought about it. Have you? Regards. Thank you. What will be will be. Wont lose any sleep over it haha. I think I have these experiences but reading the comments mine are a bit different just as I’m going to sleep I get a jolt but I can feel a tingling feeling in my chest and toes My head feels like it going to explode. I can have up to 4 or 5 of these before I sleep. Its scary although my muscles around my neck are always sore and with a burning sensation. Can anyone make sense of this or should I see a doctor? Thanks for taking the time to leave a comment, and I’m sorry to hear you’re having trouble at night. Whilst everyone does tend to have slightly different experiences, my advice is always to see a doctor if you can’t be sure that whatever you are experiencing is harmless. And if you are feeling anxious about anything medical, then there is no harm in getting a professional opinion. Hi denise. Yes I certainly find the jerks are worsened I’m tired and when I’m v anxious. My cbt therapist told me I was hypervigilant because of the anxiety ive had since a child. Ive also seen recently thst an MRI scan can actually pick up these areas, as with post traumatic stress disorder, so I’ve come to the conclusion that I am a v sensitive soul who needs to be v gentle with myself and give myself the nurturing I missed out on as a child, which I’ve neglected to do up until now. I do think some of us are more susceptible to these things and as Ethan explains its the relaxing of muscles that causes it, I think anxious bodies are very tense and thats why we experience it more. Dee – I think you were trying to reply to someone else, but have actually put the reply to Philip’s previous comment. I can’t change it either, so you can either go back and leave the comment again but to the person you intended and I will delete this one, or just leave it here. Sorry Ethan. I meant it for Denise. Can you copy and paste? Don’t worry – no harm done:-) I can’t move the comment easily unfortunately, so you would have to re-post it in the right place yourself if you want to be sure Denise will read it. Otherwise it’s fine to leave it here, though I don’t know if she will get an alert for it. I have no idea if Philip signed up to follow comments on his comment (if so, I apologize for the influx in your email inbox!). I buy all the products on line as it saves running around different shops trying to find them. Give these things a try, as I said they are unlikely to hurt you. I’ve read all these posts and glad that I am not alone! I too suffer, and have done so for over 18 months now, from these Hypnic Jerks in varying degrees! But I also, and no one seems to have mentioned that, have ‘gaspings for breath’ at the same time. . . I feel that if I don’t breathe in, I will die – my heart feels as though it has stopped! This can go on for hours or just a few unpleasant episodes but usually it happens every night and makes me very tired the next day. I have come to dread going to bed – it is no longer a relaxing and safe place to be . . I do eventually sleep but sometimes I then wake up with a jolt gasping for breath right in the middle of a deep sleep. . . I will probably end up having to do a sleep study but I keep hoping it will go away. I am an anxious person and it is probably to do with stress and anxiety but I am increasingly becoming scared of going to bed and this sleep disorder in itself is only perpetuating my anxiety! Sometimes I have strange noises in my throat that happen involuntarily and my abdomen spasms (rather like a hiccup, without the hiccup sound) as I take an involuntary breath when I seem to have forgotten to breathe while going off to sleep! Anyone else have this happen as well as Hypnic Jerks or is it just me? Thank you for taking the time to describe your story. I strongly recommend going to your doctor to talk about this. Any breathing problems while sleeping should definitely be checked over by a medical professional. Without wanting to scare you, and I imagine you’ve already done some research, it’s a good idea to make sure you don’t have a serious sleep related breathing disorder such as Apnea. There is no harm in getting yourself checked out, and if you are at the point of being anxious about sleeping, then you will probably benefit from the peace of mind a medical opinion can give you. Hi Ethan – thanks for responding. . . I have seen a doctor on many occasions about this but they have no idea what it is and have ruled out Sleep Apnea . . This is why I looked for info on this and came upon your site, which is great by-the-way . . .
It’s comforting in a strange way to know others are going through this too . . . But I wouldn’t wish it upon my worst enemy . . .! I might, as it has been suggested, go to a Sleep Clinic and see if that will help to diagnose this but I do not think that I will be relaxed enough in that strange environment all ‘wired up’ to actually sleep or even start to fall off to sleep as this would be required to actually see what’s happening with me . . . Still I never say never . . .
Once again thanks for getting in touch. Let’s hope that this will have some kind of recognition in the future and that you and all of us on this site stop having this distressing experience just when one should be enjoying sleeping not dreading it . . . !!!! I’m glad you’ve been able to rule out apnea. I understand what you mean about sleep clinics being a strange environment. But they do understand people come with those kind of worries, so do their best to create a peaceful and comfortable environment. I hope you find some peace at night, whichever way you choose to deal with it. I feel the same about a sleep clinic Emma. I’d never fall asleep in those conditions so they’d never get any info. Its so helpful to know others suffer this prob and as Denise said it def does make you question your sanity, which is not nice. Hang in there girls. We can do this. Hi Dee – Yes I will hang on in there . . . It’s not so much my sanity that’s in question . . . I’ve always been as mad as a hatter. . ( ha ha ). It’s more to do with the fact that – is there something more serious going on in my brain? I feel as though I am experiencing (as someone mentioned earlier) Epileptic episodes while going off to sleep! Not Grande or Petit Mals but something along the same lines . . . Thats what bothers me the most! Until I came on here that is what I thought I might have. It’s good to know that these weird ‘jerkings’ are not dangerous. . .
Hi Ethan and thanks for the reply. I suffer from vertigo which is due to problems within the inner ear. So this causes a communication problem between my senses and brain. When awake my brain can use sight etc to adjust quickly so I just feel a bit dizzy for a second or two. 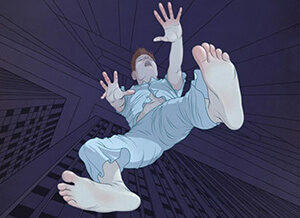 As a lot of people have said the Hypnic Jerk often comes with a sense of height,falling or flying. As I’m falling asleep the communication to the brain has nothing to correct itself against so goes into full blown panic. Alcohol seems to block this problem though I’m not sure why. Ok I understand…though don’t have any answers for you I’m afraid. Could it be that the alcohol helps you relax and not worry about it happening, or am I wrongly assuming you worry about it? If I’m right, then perhaps trying out some other relaxation techniques might help. No, it’s not just you Emma, but until your post I believed that it was just me. The only difference is that mine is more like a desperate need/inability to swallow and it happens either after a jerk or when I am on the very edge of going to sleep. It feels like a spasm comes up from my stomach first. It is all very distressing and does make you afraid to go to bed. My jerks have ranged in the past two years from minor twitches, arm flinging or almost back breaking jolts through my whole body. Strangely enough although these bug me, they don’t frighten me the same as the breathing/swallowing thing. Some years ago I had sleep apnea for a while, but this is not the same. I have found a slight improvement since using magnesium, inositol and 5-htp, but it is only early days on these supplements. Perhaps we could keep in touch and try to help each other? Hi Denise – I don’t mind keeping in touch . . . this is a horrible experience for people just when they should be at their most relaxed going off to sleep don’t you think? I feel your symptoms are very similar to mine and it looks like similar to others on here too. I feel it must be the same condition but just manifesting itself in different ways with different people. But overwhelmingly it must be due to stress even though I do not feel particularly stressed at the moment (apart from dreading going to bed. . . !) but I have had stressful and anxiety periods in my life. I have ruled out Sleep Apnea as my doctor asked me a few questions and did not seem to think it is that. She is completely baffled by it though and suggests a Sleep Clinic which I might do if this is never going to go away on its own. . . . I just feel that it will be a waste of time as I will never sleep away from home in a different bed and WIRED UP as well – sleep would be impossible. I would never be relaxed enough for the ‘jerks’ and gasping for breath to happen. . . I have never heard of this magnesium treatment – so please tell me more about it? As for your swallowing thing – it sounds horrible and I also get a similar involuntary swallow from time to time but haven’t experienced the inability to swallow . . . yet . . .
Good to hear from you. Bye for now. It’s great to see readers connecting like this:-) As this isn’t a forum, there isn’t an independent and secure way for you to connect. But if you like, you can both drop me a line with your emails and I can put you in touch that way. It’s more secure than if you put your email address in another comment. Let me know if you’d like to do that. You can use the contact us section above. Firstly, many thanks for the site. Without which we would all believe that we were cracking up! I read all the posts and will always be on the lookout for a cure. Anything that I believe is helpful, I will post via the site. I have no problem with you providing my email address to Emma and will happily forward. Thank you for your kind words Denise, both to me and when talking to Emma. I’ll put you both in touch once Emma gives me the go-ahead. Ethan – how do I drop you a line with my email address without it showing up on here? I am happy to correspond with Denise. . .
Magnesium is a very important mineral for our nerves and muscles, therefore after reading many reviews and reports, I have added it to my daily diet in liquid form. I also add a cupful of powdered magnesium to my bath water. It certainly helps you to relax. I am currently taking 5~htp and Inositol, both are supposed to be very effective with anxiety and the one thing I’ve learned from this site is that the majority of hypnic jerk sufferers seem to have stress or anxiety in common. So far, I do believe these products are helping, but I would love to know why we all seem to suffer like this. Why are we different to others? One thing I do believe is that not enough research has been conducted regarding this horrible affliction. My doctor had never heard of it so I took some information with me. We all seem to come across this great site by accident and thank goodness for its existence as I’m sure some of us must have thought we were going mad. Try the magnesium, 5htp and Inositol. I think they are very unlikely to do you any harm and hopefully they will help. Give them at least a month before you make judgement. Can I ask if you find the jerks etc. worse if you are very tired? I certainly do, but of course it can be a viscious circle with the jolts keeping you awake. Anything further that I find to be of help, I will certainly pass on to the site. I will never give up! Hi Denise – thanks for your kind words. I will try the magnesium treatment . Where will I get all the ingredients you mention? A health shop? Hi Emma . Obviously I can’t speak for anyone but myself but my thinking is that if it had been anything more serious it would have developed and shown itself by now as I’ve had it for about 30 years and just like you, in the beginning it seemed just too simple after believing something very wrong was happening. But all I can tell you is that in the past 10 days since I’ve had an explanation it’s happening less and less – never even had one last night and woke up so peacefully this morning it’s wonderful. Anything more serious would not respond like that. Now I’m able to reassure myself it seems my system has calmed down. I’ve also been able to recognise the scales relaxing and the spasms that jolt me awake cos now I know what I’m looking for. But that’s only me. Like I said I can’t speak for anyone else. Best wishes. I started having these about 20 years ago. I’ll describe mine for ya, your not alone lol. Just as I drift of to sleep I feel a weird sensation in my chest, like an adrenalin rush , sometimes from head to toe , a split second later I jolt hard and wake gasping for breath , clutching my chest. When it first started , I seriously thought I was going to die in my sleep. Some nights, ( I’ve watched the clock lol ) , I had 6 in 4 minutes!! But I’m not dead yet and it’s been fairly regular for 20 years now ( I’m 41 ). I’ve been to 3 cardiologists, the found nothing and one recommended a shrink lol. Now , I’ve researched this and some have said its a damaged Vegus nerve. Harmless, but that nerve runs from brain stem to ya stomach, everything is connected to everything. I found by trying to sleep in the fetal position stopped or slowed them down ( recommended by another sufferer. Being run down and not eating properly helped me a lot. I’ll leave this one for Emma to reply to if she’s following the thread. Brendan, I have had the exact same thing for 2 yrs now. I just posted does anyone have the gasp..I have it also and then sometimes just the twitching. DO you drink? 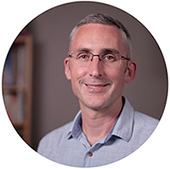 Hi Brendan……and hi too to you Ethan and Denise who I should have replied to before now as well…..I am following the threads and I am just amazed at the amount of people experiencing this sleep disorder! If the people on here, are just a small selection with this condition who have bothered to write it down, then just imagine how many more hundreds or even thousands of people are going through this that haven’t even found this site yet! If this is so common, then why are doctors so ignorant of it? There perhaps should be some research done looking into the reasons why this happens to some people and not others and also a cure could be found in the future if this was taken seriously….. But what I definitely have come to realise is, that there is a common theme of stress and anxiety running through all these threads in differing forms but nevertheless we all seem to be anxious people in one way or another. I’m hoping this disorder will just ‘fizzle’ out in time just as my panic attacks and heart palpitations did after a few years….. The damaged Vegus nerve theory sounds interesting…..I’ve not heard of that before and I will try and look into that…..
I’ve come to some kind of acceptance now and try not to get anxious at bedtime and some nights I actually manage to go to sleep without a single episode! I tend to get these attacks more when I nap or go to bed early which is strange in itself…..in theory it shouldn’t make a difference….but I still have nights where I have them every few mins from 30 mins duration to many hours of jerks and involuntary noises and breathing problems. It’s good to know that they are not dangerous as you Brendan are a testament to, after 20 years of it! I’ve had this problem for years, Its quite severe. The only thing that switched it off for me was alcohol, not that I’m recommending that. Its impossible for me to have a nap no matter how tired. So a few glasses of wine before bed is all I can do to stop it. I’m wondering if anyone else has problems with their ears like I do. The ears are super sensitive and play a large part in our balance. As mine and other peoples jolts seem to be the brain wrongly trying to correct something, could the rogue information be coming from our ears. Thanks for taking the time to comment, and I apologize for the slow response. Sorry to hear it’s been a problem for you. You’re not alone in using alcohol to get to sleep more easily, though as you point out, it’s not the best idea. I can’t really comment on the ears theory, though it is an interesting one. I have tinnitus myself, and it developed about 2 years ago. 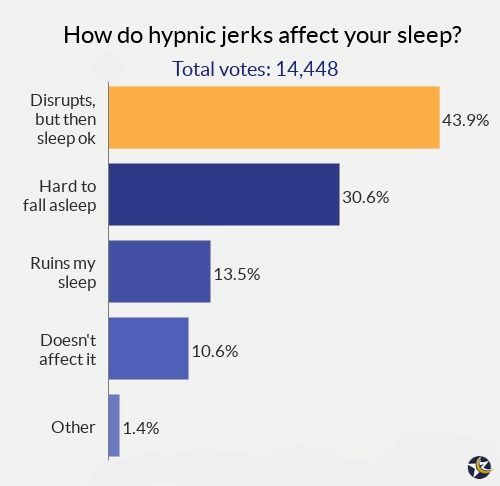 I can’t say I’ve personally noticed a change in the frequency of hypnic jerks. But maybe other readers might have something to add on that idea. What exactly is the problem you have with your ears? May have figured out something that will help. Electrolyte pills.. I bought one called Slatstick. Google it. Seems to be working. In the past i tried sodium or these things individually. This product has like 5 ingredients that runners use. Potassium, Sodium ect.. Try it. Thanks for that idea – it’s an interesting one. It perhaps works alongside the possibility that dehydration can be a contributor to experiencing them. This may sound weird, but I think I experience these hypnic jerks but not while I am asleep. It has only happened twice and both times I was extremely tired and on the verge of falling asleep but I was still aware of everything around me. Has this happened to anyone else? Does anyone know what it could be if not a hypnic jerk? Thanks! Thanks for your comment and I’m sorry it’s taken a while to publish it – I’ve been studying so haven’t had time to keep up with new comments until today. I think it is very likely it was hypnic jerks you experienced. It can be a bit fuzzy at the point of falling asleep whether you are awake, asleep or half-way there, and so if you were extremely tired and on the verge, it is more than likely the explanation. You may have been aware one moment, and in a split second started to fall asleep but had the hypnic jerk and so completely missed the point when you weren’t aware. I hope that makes sense! Kristin, I do the same thing. If I’m laying on the couch watching TV in the early evening, my hypnic jerks will start up even when I don’t feel all that tired or sleepy. The only thing that stops it is to get up and do something. Of course, it starts back up when I’m ready to go to sleep when I go to bed. I also notice that the jerking is preceded by an electic like zap usually in my feet. When that hits, I know I’m going to start jerking around. To say this is the bane of my existence is an understatement! I would have a look through the list of reader’s tips in the article. You might find something useful there! Welcome to hell on Earth. New idea. Cut out sugar..Bread. Eat early. See if it works. Try soaking in epsom salts for about 20 minutes and see if that helps. Epsom salts are magnesium sulfate, and I’ve found that my hypnic jerks are mostly related to low magnesium levels–my naturopath says my body doesn’t hold on to nutrients. If I focus on taking enough magnesium every day, my hypnic jerks stay at a minimum, and I generally get enough sleep to feel decent, but if I don’t, I’m up all night with them, and can’t sleep to save myself. Your body needs calcium and magnesium in a ratio of 1:1. You also need to take vitamin D3 and K along with it so everything can be absorbed properly. Besides soaking in epsom salts, you can apply magnesium oil to your body for 20 minutes or until you can’t stand it. Both soaking in epsom salts and using magnesium oil are quicker ways to elevate your cellular magnesium level than taking oral supplements. Magnesium oxide, the most common and cheapest form of magnesium is very poorly absorbed so avoid that if at all possible. Only about 3% of what you take is absorbed, and the rest is shunted to the gut where it causes diarrhea. Oral magnesium chloride doesn’t have the laxative effect to the degree other forms do. Magnesium citrate is easily absorbed but has a fair laxative effect so be sure and start off slowly with it. Most people who are low in magnesium are also constipated so it often helps normalize the function of the GI tract. Nice to hear from you again. Thanks for coming back and giving such a personalized reply to this readers! I am actually so used to these constant hypnic jerks when falling asleep, that I no longer worry about them, because they actually mean I will fall asleep soon. (Insomnia being my other problem) I don’t start getting them until I’m actually relaxed enough to sleep. So, in a weird way I feel sort of glad when they start each night. Thanks for your comment, and you know what, reading it really struck a cord with me. I’ve also suffered from insomnia for years, and you’re right – the hypnic jerks do often signify that sleep is round the corner, and so I have also felt ‘happy’ when I get them. Even though they are jolting me awake, I know that soon enough I’ll be asleep. So thanks for raising that point! In 2007, I had experienced the worst break-up of my life and that very same summer my father and mother were living with me and Mom died of cancer. I was very depressed and had periodic thoughts of suicide. While laying on my back on the couch, very depressed, my body would have a sudden twitch that seemed to radiate from my lower spine. This has continued ever since. I had blamed the jolts on stress and fatigue. I have not been depressed for many years now, but I am still having the twitches. I do have lower back issues, but after reading this article, I’m tempted to visit my doctor about this now. The twitches happen to me a few times a day. Mostly when I am beginning to relax or fall asleep and always when I am laying on my back. But recently, it started to happen when sitting on the couch. Thanks for sharing your very personal experience of hypnic jerks. I’m not surprised you were feeling so low with all that going on for you at the time – well done for overcoming the depression! There’s definitely no harm in talking to your doctor about it if it’s been going on for so long. I’ll be interested to see what they say. I had a pretty horrible breakdown at work coming up to 4 years ago and have been suffering from very severe anxiety and depression ever since. The doctors have tried several different types of medication and daily dosages to help relieve the problems that I have. Most recently I have been prescribed Venlefaxine and in about September last year this was increased to a daily dose of 225mg. Ever since then I have been having these jerks as I fall asleep during the day. They vary from simple arm or leg jerks and twitches to full blown body jumps that feel like I have jumped a foot off the bed!! I didn’t know what they were called until I finally googled it today and stumbled across your great article. I have to see my Doc next week so I will mention it and see what she says. I’m glad you found the article helpful. Sorry to hear you’ve been having a difficult time these last few years. Hopefully your doctor will be able to work with you to see if any medication you are taking is contributing to the hypnic jerks. Sometimes it’s useful to take ideas with you to a doctor of what something might be that you are experiencing. They can then discount it or look into it further. However it turns out, I hope you can find a way to deal with the twitches if they are bothering you. I find it interesting that never once does your article mention a spouse/partner affected by this sleep disturbance. In fact, only one of the comments mentions a husband, to which you note that may be the husband is just a light sleeper. My wife has this problem. But it’s not a problem for her. She never wakes up. She wakes me up. This is not a “light sleeper” issue. My wife’s movements are violent and pronounced and a shake the entire bed. The real issue is not the person who’s dealing with this — it’s the partner of the person who’s dealing with this. Thanks for your comment, and I’m sorry to hear you are having such problems at night. I can understand your frustration completely, and why in your case the issue is the person dealing with it. I do in fact mention in the first section of the article the possibility of being woken up by your partner. But no, I don’t talk at length about a partner being affected by it. This is because hypnic jerks are usually mild and don’t bother partners too much, if at all. If your wife is experiencing something so strong that you describe it as violent and which can shake the whole bed, I would suggest speaking to a doctor about this. It could be that she has a different sleep disorder in fact. And even if it is just hypnic jerks, if they are this bad it might still be beneficial to get a medical opinion. I hope you find a solution that can bring you some peace at night. I’m 29 and I’ve been experiencing these intense “jerks” from couple of years ….just like I’m falling from top to the bottom…this happens always at time ,when i almost near sleep… after reading your article i find many answers,,,will try to add magnesium & calcium…I usually have less sleeping hours.., smoke daily weed (is marijuana effects in this jerks? ), coffee, tea … also have some stress & anxiety as I’m a stock trader..:D, no exercise no drinking …. It sounds like there are probably a few things you can do to try to reduce your hypnic jerks. But from what you say they are all going to be big life-style changes As someone in a high-stress job you will have to decide for yourself which to try to cut-down or stop, and experiment a little to see if anything helps. To answer your question, I don’t think any research has been done to examine a link between smoking marijuana and having hypnic jerks. But it is known that it can disrupt sleep – for example reducing your amount of REM sleep – despite many insomniacs finding it helpful. So you would probably have to try going without for a while and see if it helps. I remember experiencing those feelings more often in my childhood. I still do occasionally but not much. However, the thing I noticed these days is that sometimes as I drift off to sleep and would be feeling super relaxed and cosy in my bed and even start dreaming kind of then all of a sudden I’d be wide awake, which is very frustrating. Sometimes I’d experience the same thing but would feel my body muscles all sore and then have to shake or rock myself to sleep. I’m almost sure though it’s stress and fatigue related! Yes, it can be frustrating if they startle you awake. I think the only thing to do is to try to develop the mindset that it doesn’t matter, and you’ll soon fall asleep again. Perhaps to try to refocus on how cosy and warm the bed is, and try not to allow yourself to get bothered by the hypnic jerk. That’s what I do anyway, and it seems to work. I’m not sure if this would help with the sore body muscles though – do they stay sore, or just briefly on waking up? I have tried calcium and magnesium and have done yoga, breathing exercises, swimming, healthy diet – you name it I’ve done it. Unfortunately clonazepam is the only thing that works for me and I am in regular contact with my medical centre re my condition. The worst thing that anyone who suffers from this condition is sleep deprivation and nobody should have to put up with that as you have no quality of life. Sometimes prescription meds are the only solution until someone comes up with a miracle cure. I will continue on my quest to find a natural remedy. Hi there – I’m from New Zealand and have suffered from Hypnic Jerks for years now. I finally had to give in and go to the Doctors. I belong to a medical practice that have different doctors come through the practice which means we have doctors from South Africa, the United Kingdom and America. Not many have heard of hypnic jerks and some have and advise that there is no reason why it happens or how to fix it. I have been taking Clonazepam and this seems to work for me. I have spent many hours researching this problem and looking out for “natural” remedies but unfortunately nothing has helped. I was concerned about the stigma attached to taking any kind of sleeping pills but they help and they enable me to lead a full and happy life as opposed to being sleep deprived. It really is a form of torture!! Thanks for stopping by and explaining your experience of hypnic jerks. 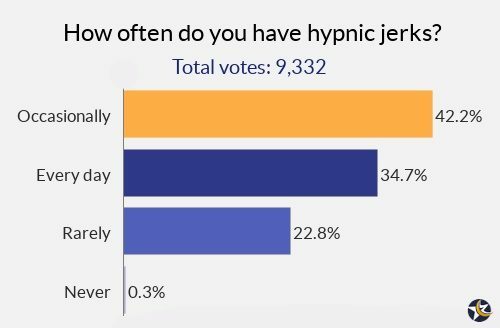 I’m surprised that not all of the doctors have heard of hypnic jerks; it’s such a common thing, but I guess maybe some just don’t know the exact name but probably would recognize it by description. Anyway, I sometimes think that maybe the best natural remedy route might not involve something you take, but something you do. For example relaxation exercises, meditation, yoga or whatever appeals to you that can help reduce stress and help you relax. It might not help for everyone, but I believe it’s worth trying. And of course as I said in the article, you could try looking at the calcium and magnesium levels in your diet. And at the same time if you’ve found something that helps, then great. The only problem being that Clonazepam should only be used short-term usually, which means you may end up having to deal with the problem again in the future. So perhaps continue your search for a natural remedy, but as I said, have a think maybe about what you can do instead of what you can take – including looking at the typical sleep hygiene advice around exercise, alcohol, caffeine and comfort of bedding. My name is Alison, and I’m 18, and I’ve been experiencing these “jerks” since 16. I’m a senior in High School, I MAYBE get 4 hours of sleep a night, and that’s on a good night. They started around the time my parents first starting fighting about a divorce. I usually will experience them about 2 times a week. I was wondering if these jerks can be caused solely from stress? and if it’s possible to have one when you’ve been asleep for a long time? Sorry to hear you’ve been having these sleep problems; 4 hours a night isn’t enough really, so I hope that improves some time soon. It’s hard to say, but I think it probably is possible to experience hypnic jerks more frequently if you’re stressed. And although more common at the beginning of the sleep process, they can occur in the middle of the night. But twice a week certainly isn’t a lot, and probably not anything to worry about. But if you’re stressed and only getting 4 hours max a night, that is something that could do with improving. Easier said than done, I know, especially in your circumstances. But hopefully you can find ways to relax and manage your stress levels. I’m 20 years old currently going through this tonight and in weeks past. I finally got curious enough to Google about it and found this page. Usually the hypnic jerks happen right as I feel my body about to go to sleep. Even though I’m not fully sleeping yet I still jerk awake with a gasp of air and takes me a few seconds to realize what’s going on. Also I was reading some of the symptoms and usually the days I drink coffee or energy drinks are the nights that this happens to me but not always. I’m currently in the Marine Corps and was thinking the stress from work might be why. I usually get no sleep on the nights this happens because I stay up worrying about it. Its a reliever that there is no real harm being done. Thank you for the info. Thanks for sharing your story, and I’m really glad that you found the article helpful. What you described sounds very similar to my own experience of hypnic jerks; I find that caffeine, stress and also heavy exercise seem to make them more likely. As long as it’s only at this point that you’re having the gasp of air, it sounds like it’s probably just harmless hypnic jerks. If you’re waking up, or someone sees you, gasping for air throughout the night then you would need to get checked for a breathing sleep disorder. But I also get the gasp for air thing just at the start of the night with the jolting motion, and then sleep fine for the rest of it. So hopefully it’s the same for you and you can relax about it now. Sorry to hear that you’re going through an irritating patch of having hypnic jerks. It could be related to the additional work stress as you guessed, but it’s never easy to pin-point an exact cause. I hope all goes well with the sleep doctor, and if you’re following this comment thread, it would be really useful to let me know what he says about it, if you don’t mind sharing that. NO question alcohol exacerbates these! If not causes them FYI. I am speaking long term not short term drinking. I quit drinking over them and if I even have one drink it sets them off for weeks much stronger! I have tested this over 16 months now, it is a fact with me. also, in naps they are much worse. I wonder if anyone else has noticed this. Thanks for your comment. I think there are many possible causes of hypnic jerks, and the main thing is if you are lucky enough to find out exactly what causes them and are happy to do whatever you feel you need to do, then that’s great. Some people might prefer to drink and put up with them, so I guess it’s a personal choice. These hypnic jerks have been happening to me since I was in middle school (I am now 28) and I have never really been scared of this phenomenon. They usually happen just once on any given night – and maybe 2-3 times per week. Normally, I have what I call a “mini dream” and these vary from walking and then going off a curb or slipping on ice, only for my legs to have a twitch that wakes me up. Sometimes, i have a vision that i am kicking a soccer ball and my leg twitches as well. The feeling during this twitch is really weird! I’ll be honest, i kind of like the feeling you get, because it’s not like you are just simply just lifting your leg up. It is an involuntary twitch that you physically can’t control. However, even though this happens to me on a regular basis, there is one sudden episode that i must recount here because it was so vivid and the biggest twitch i have ever experienced. One night, as i was drifting off to sleep, i had a mini-dream where i was looking out at a Grand Canyon landscape. I looked down and it seemed like a never-ending cliff…there was just darkness below. However, there was a type of ‘land bridge’ that was just a short jump from where i was standing. If i were to jump across the cliff, i could reach this land bridge and then walk across. I decided to jump – and as i jumped, i was halfway to the bridge, but my motion suddenly stopped…and i was suspended in mid-air for a split second…it was then that i noticed i was going to fall straight down and into the abyss. Right as i noticed this, my right leg went FLYING up in the air, and then my left leg too, went flying! ha…i will always remember that hypnic jerk as being so intense. Secondly thanks for sharing your quite entertaining and uplifting story of hypnic jerks. I have to admit I’m in the same camp – I quite enjoy them when they happen. They always put a smile on my face when I realize what’s just happened, and even more so if it’s somehow connected to a dream. I liked your story of being frozen mid-air and realizing you were going to fall; it sounds like a cartoon moment, and I’m not surprised that moment was accompanied by a hypnic jerk! I started to have this kind of experience a month ago. At first I thought it was because of my workout, since the jerk only happen to the muscle group I work on. However, I really do not want to stop my workout, so I changed my workout into morning or early afternoon. but I still experienced the jerk. I stop my workout a week ago, the jerk still happens to me, but not on certain muscle group, but the whole body. I am so stressful, and do not know what I should do. I have experienced insomnia since I was young, and I am so afraid of insomnia, especially this kind of jerk. I know the more stress I get, the more jerks will happen. But it is really hard to meditate, especially when I’m about to fall asleep, I can feel that anxiety generated in my heart automatically. I want to start to workout, but I do not know if I should continue it or not. Maybe you could try to find some middle ground. Do some exercise but perhaps go easy for a week and only do light exercise during the day. Do that for a week and see if it’s any better? I know you say meditation is difficult, so maybe doing some progressive muscle relaxation exercises or simple deep breathing would be better for your anxiety? I talked about it in the article, and if you read the relaxation section you’ll find some exercises which are easy to do. It sounds though that maybe working on your anxiety levels would be more useful. It could be that doing heavy workouts naturally gave you hypnic jerks, and now you are worrying about them which is causing even more. Try the light exercise idea, and see if you can find some help for the anxiety. You could talk to a doctor and see what help is available. But there is also a lot of great self-help information to be found on the internet for anxiety. Well this usually happens to me when something happens in my dream. Last night in, in my dream, I fell off a bench and jolted awake just before I hit the ground. Hi Bob – I imagine many people, myself included, have experienced that strange experience! I have always gotten these on occasion for as long as I can remember. For the past year they have been much more significant, not only more frequent (i.e. probably close to daily), but also sometimes throughout the night and sometimes while I am awake. I think that it is pertinent to mention that I have significant anxiety issues relating to some old trauma that I have been trying to deal with for the past year. It seems obvious there is some relationship here. I have tried ambien as well as melatonin, but while I think I sleep through the night, I still sometimes wake my husband up with my movements and never feel rested. I have been reading about using hypnotherapy…. might give it a try..have any information about if it is effective? Sorry to hear you’ve been having a difficult time. It sounds like a few things all in the mix from what you’re describing. It could be that if you’ve always had them, you might not be able to stop them 100%, especially as they are quite a natural phenomenon. 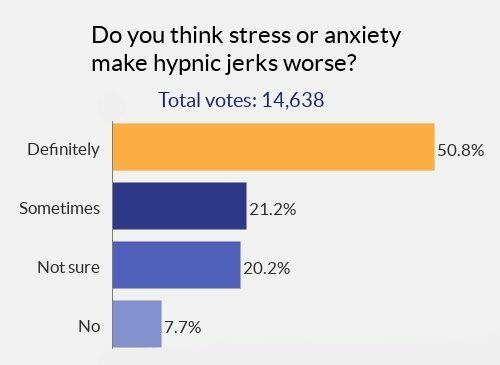 But I imagine it is possible that there’s a connection between the anxiety and experiencing hypnic jerks more frequently. Maybe you’ll need to put up with them a little longer until you get over the hill in the journey of dealing with the trauma? It’s hard to say really. As for hypnotherapy, I haven’t heard of it being used to control hypnic jerks to be honest. If anything I’ve only heard of some people experiencing hypnic jerks while being hypnotized! But it could be worth a try if you know someone who thinks it can help. I imagine it would be more useful in simply helping you relax and deal with anxiety though. You also mention taking sleep aids, but not feeling rested and your movements waking up your husband. Are you making movements a lot in your sleep throughout the night? If so, it could be something else causing it, which a visit to the doctor or sleep specialist might help determine. Or your husband could just be a light sleeper and your natural nightly movements that we all make are waking him up. That’s a problem I’ve had before as I’m such a light sleeper. And don’t forget, Melatonin is different from other sleep aids in that it is more useful for resetting the body clock (e.g. with jet-lag or delayed sleep phase syndrome) rather than just a ‘knock-out’ sleep aid. It’s not really my place to offer definitive advice unfortunately, especially in a comments chat. But these are just some possibilities you might like to think about. If you do find hypnosis helps, please do come back and tell me as I’m curious to know. I started have hypnic jerks in August 2012 the night before my favourite sister-in-law was laid to rest and just three months after I had a triple by-pass operation – it was told to me that it was stress related – even on medication (a very small dose of clonazepam) by the neurologist since August 2012 until now I still experience jerking most nights which is very disturbing to both myself and my husband (I am 70 years old and up until August 2012 had never experienced anything like the hypnic jerks). I know I am a stressy person but how long is this symptom going to last I wonder? Thank you for sharing your story, and I’m sorry to hear you’ve had such a difficult period to get through. I’m not surprised you’ve been feeling stressed with all that to cope with. Clonazepam can sometimes cause sleep disturbances, especially if used for longer periods of time. You don’t mention if you’re still taking it, but you could perhaps talk to your doctor about that, or any other medication you are taking, in reference to the hypnic jerks. Otherwise there’s no telling how long it will continue for unfortunately. 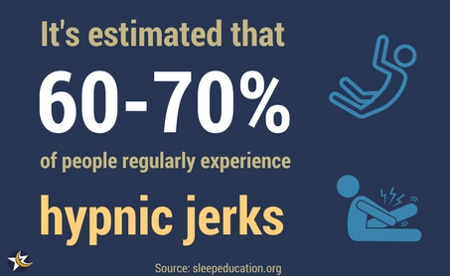 I still get them from time to time and have done for years, but they don’t really affect my sleep more than the occasional wake up jolt, so I just put up with it because I know I don’t have a more serious sleep disorder and so they are harmless. But if it’s really disturbing you and putting up with it isn’t an acceptable answer, perhaps have a go at implementing the self-help advice listed in the article. If that doesn’t help and it’s causing real problems for you and your partner then you could also ask your doctor for a referral to a sleep specialist. All the best and I hope you find a way to manage it soon. I have been having severe hypnic jerks for the past seven months. Some nights I won’t get past them at all and will be awake all night (or more accurately falling asleep and waking up with a start all night.) They can get very distressing, and I get more and more tired which makes the worse. I have seen a sleep specialist, who thinks they are to do with going into sleep via REM-dream sleep and not the normal deep sleep route. This concurs with my experience, ie. they are related to dreaming. I am dreaming almost the minute I shut my eyes, and the jerk often is related to the dream. Melatonin has been helpful in my case – melatonin in combination with sun-light the most helpful of all. They tend to settle down and then flare back up again, but once you have experienced them settle down for a couple of weeks, it doesn’t feel quite so devastating when they return. By the by, I also have a very sore tongue that does seem to respond to B12 supplementation. I suspect that this may have a role with the sleep problems / hypnic jerks as well, but am not sure really how to proceed. I am seeing the sleep specialist again soon and am going to ask him to run a blood test. (my grandmother and aunt have pernicious anaemia so it is in the family.) I have read that others may have the sore tongue / hypnic jerk comb and wondered if that was anyone else’s experience. Thanks for taking the time to describe your experiences. I’m not surprised they can be distressing if you experience them so often and they disturb your sleep so much. Sorry to hear that. I haven’t personally had the sore tongue symptom you describe. Perhaps someone else reading this might recognize that issue and have something to say about it. Good luck when you go to the sleep specialist again – you’re doing the right thing seeing a professional, and I hope they manage to help you manage it better. Sometimes 3-4 times a night. First of all, I’m very sorry to hear about the car crash, and glad you got through unhurt. But it does sound like your having bad dreams / nightmares as a direct result of course, considering the content of the dream. And if you started getting hypnic jerks after the crash then I would say it could be connected, but perhaps due to stress / worry or shock still lingering in your mind. Getting hypnic jerks when awake is not really something I’ve heard of, and it could be something totally different, but again related to the after-effects of being in a traumatic and scary experience. 1. Speak to your doctor. Getting what you think are hypnic jerks during the day could be something else. It’s probably good to speak about them openly. Your doctor might also suggest talking to someone about the crash to see if that helps resolve all the issues you’re having. 2. Read my article discussing how to stop nightmares. You might find some of the ideas there help you. 3. Do some relaxation exercises during the day and especially before going to sleep. Thanks again for sharing your story, and I hope you manage to deal with the night and daytime experiences you’re having. I have been having these hypnic jerks for a few weeks now, and it seems to happen almost every night. I have also been caught sleep walking and talking in my sleep many times. I was in a car wreck a few months ago, but it wasn’t bad and I wasn’t hurt. But since then I have been having dreams about crashing so in my dream I try to turn the wheel or slam on the brakes, but it doesn’t help and I crash. And when I am awake I get these “jerks” also, and it’s usually when I am driving. I do not know if these are connected or not. Thanks for taking the time to leave a comment. 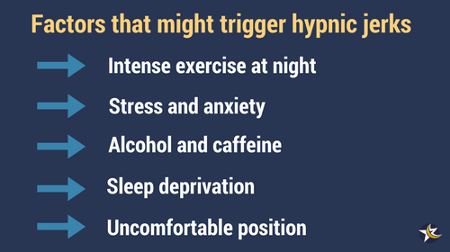 You’re definitely right in that tiredness can be a trigger for hypnic jerks, and also that they can be uncomfortable. Funnily enough last night I had a really huge arm twitching experience that really shook me! I’d be interested to know what made you think a lack of Calcium causes them? Thank you so much for comments/articles, they have really helped me understand all this jerking I have been experiencing. My hypnic jerks started after having a pin and a plate put in my left hip. I had a stress fracture and some fluid build up. Once I started taking pain pills and my regular meds, the hypnic jerks started. They are very annoying, and I am hoping they will go away soon, but I will mention them to my doctor and see what he has to say about them. Thanks again everyone! At least now I can give my problem a name! Thank you also for taking the time to leave a comment, and I’m really pleased that you found the article useful. Having a name to call a problem can definitely be helpful sometimes, and perhaps also help your doctor pin-point more quickly if your meds could be contributing to it or not. Why my head? Not my limbs? Thanks for stopping by – first of all, if it is hypnic jerks you’ve had, then 3 in 9 months is really not usual at all. Many people might have 3 a week or even more, so don’t worry about that. As for the head thing, I’m not sure what to say to be honest. I haven’t experienced the compression feeling personally, and haven’t read much about that either. It may be that it’s not actually hypnic jerks, or it may be that it is, but you are feeling it it a different way than others might do. Is it a quick squeezing sensation, or does it last for a little while? Thank you for the useful article Ethan. I have these hypnic jerks when about to fall asleep. Once I’m properly asleep though then all is normal. Sometimes it will be just a limb or two that jerks and sometimes it will be seemingly full body. I never get any sensations of falling or being shocked though. Just involuntary jerks. In addition to limbs, my eyes will usually jerk as well. I can best describe it as – imagine you are bracing for contact with something. You sort of squish your eyes shut really tightly. Or like someone just turned on a strong light in your face when you had been in the dark for a while. I am 23 and about 3 months ago I was diagnosed with ADD/ADHD by a neurologist. For the last 3 months I’ve been taking medication for it called “Strattera”. This differs to Ritalin/Concerta in that it takes about 6 weeks to start working but provides 24/7 concentration benefits as opposed to the 4-12 hours that the other two last for. I’ve been struggling with these hypnic jerks of late. It doesn’t really bother me all that much other than being mildly annoying but I’ll often wake my girlfriend up with it and that’s an issue since she battles to fall asleep and that sleep is vital to her studying. I think this started (or got worse) at about the same time as I started taking the ADD medication but neither me nor my girlfriend are 100% sure. Last week I saw my neurologist for my 3 month check-up and she said I was the first to mention these twitches (I didn’t know it was called a hypnic jerk at the time). As part of standard procedure, before prescribing ADD medication, she does an EEG to ensure that the medication can’t cause an epileptic fit. So I wasn’t scared there was anything wrong with my brain, other than the ADD of course. I did mention to her that I’d been feeling more tired of late. She said that this can be the case in 20% of people taking the medication. As a result, I now take the Strattera at night instead of in the morning. So I’m now thinking that perhaps the medication isn’t directly causing these jerks per se but rather making me more tired and it is the fatigue that is causing the jerks? It is too soon to tell whether the night time consumption has made any real difference or not. I’m generally not a stressed person but I am studying to be a chartered accountant and it is a very difficult degree with an incredible volume of work. So stress is another possible factor. Unfortunately I don’t have any “cures” for readers but I just thought I’d mention the eye squish to see if others also experienced it in addition to the limbs jerking and also to mention a change in medication as something that readers could monitor as a possible cause of hypic jerking. Thank you very much for sharing your experiences of hypnic jerks, and also your insightful and personal thoughts on what could be causing them. I don’t want to comment on the medication aspect as I am not a doctor. But your explanation of the indirect effects does also seem to make sense. As you say, tiredness and stress are both factors that can increase the likelihood of hypnic jerks happening. But I also think you’re right in that it might take some time to pinpoint what is causing the increase in frequency. All the best with your studies, and I hope the hypnic jerks settle down so you and your partner can sleep easier.